This session will also introduce you to the opportunities available with Visit Scotland including 'Scotland's Community' and iKnow case studies. There is a key role that destinations, towns and communities can play and benefit from by embracing existing technology to enhance Scotland's offer locally and world wide. 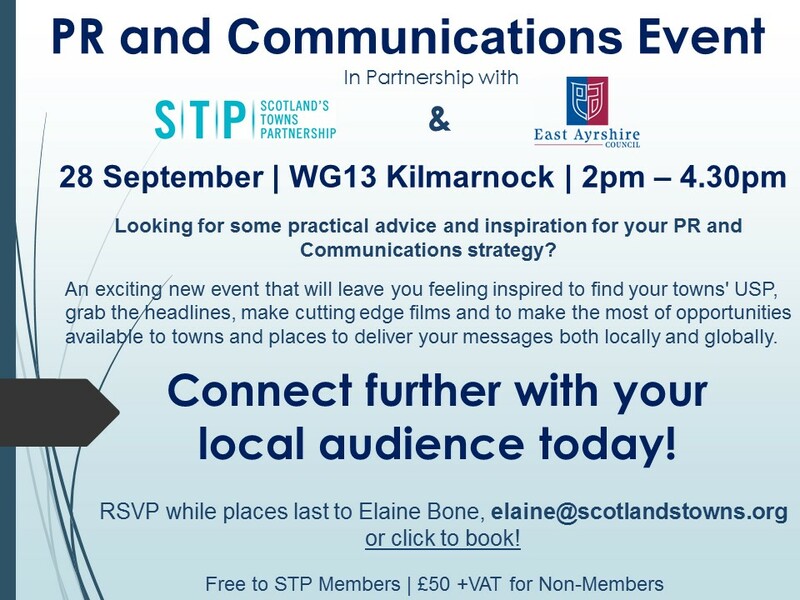 So, join us on 28th September in Kilmarnock for what is sure to be an interesting and practical event. Click here to view agenda and read more about the event contributors and book here.